Each type of movement has its formula to calculate which velocity exists with its parameters, but the definition of physical velocity will always be a relationship between space traveled and time used. A definition of velocity can be the rhythm of movement. 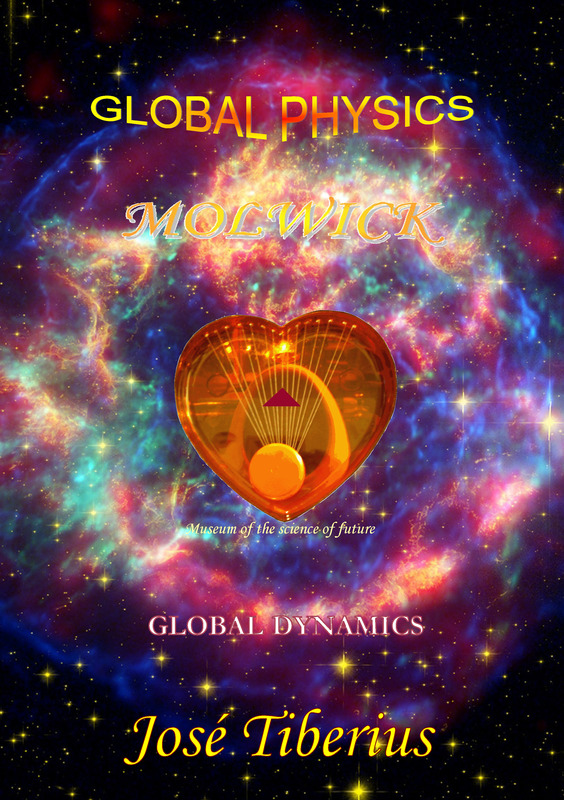 Let us recall that physics model of Global Dynamics operates on Euclidean space and absolute or objective time. Logically, each type of movement has its formula for calculating temporal rhythm of its spatial displacement, with specific parameters and equations. When talking about different types of movement, we have discussed Inflation Theory, expansion, and contraction of the universe. Furthermore, the possibility of producing velocities much faster than light, since these physical phenomena do not represent motion upon the reticular structure of matter or Global Aether; but rather motion of Global Aether itself. This characterization of velocity clearly contradicts Theory of Relativity. Besides, we have previously spoken about the speed of light and its particularities. The third category of types of movement refers to the motion of the mass. In this category, we include the complex dance of the wavons, well-known movements such as Greek movement, or normal motion, and displacement of mass due to the second component of atractis causa of the force of gravity –Merlin Effect– and lastly, the partial drag of mass by Global Aether –inverse movement. Merlin effect explains both orbit of Mercury and curvature of light, with a new and simple formula for acceleration of the gravity in section Physics of movement with gravity of this book. 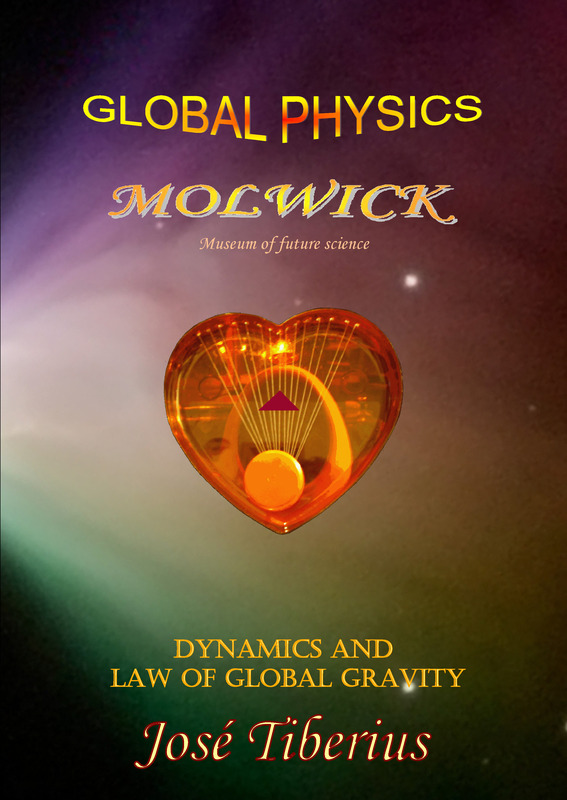 Also, calculus of planet orbits of the Solar System is in section Physics Experiments of the book Law of Global Gravity. We have also talked about the existence of two types of aether. On the one hand, the Global Aether of gravity field, mass, and kinetic energy; and, on the other hand, luminiferous aether that is gravity field. In fact, all these considerations are in direct contradiction of Modern Physics, especially of Theory of Relativity. Now we are going to explain the mechanism for Greek movement, or normal displacement of material objects according to Newton’s Laws of Dynamics, but within the new paradigm of Global Physics. We are studying the concept of physical velocity, movement, or motion of mass through the Global Aether or kinetic aether, with theoretical total symmetry or without the existence of gravitational field. Global Mechanics defines physical mass as compressed three-dimensional loops or curls of kinetic aether. By establishing this equivalence, it explains the unification of electromagnetic energy and mass. There is nothing new, since Theory of Relativity already established that energy and mass were equivalent, although it did not indicate what material element was supporting both elastic properties. Also, regarding velocity, Global Mechanics proposes that movement of mass happens as if it were a slipknot along kinetic aether. The idea is to prove that a slipknot, with little resistance or friction, is not as difficult as it seems at first glance. First, we get a long hair with a little yank from the head. Then, we hold the hair with two fingers, separating the two ends. With a pen, we make a loop in the middle of the hair in such a way that the pen is between the two ends of the hair. Now, we can prove how another person can displace the pen left to right and vice versa with very little friction. If we could add a very fast vibration to the hair, surely displacement of the pen will be even smoother, and with less friction. We can try this with something that vibrates, like modern toothbrushes or automatic shavers, and hold them in the hands while holding the ends of the hair. It is rather difficult to imagine a mechanism capable of producing a displacement of a three-dimensional loop throughout the filaments of Global Aether. We have to assume the filaments of kinetic aether have that property thanks to the resonance or vibrating mass, which needs to be in constant synchronization with kinetic aether. This sliding of mass is one of the essential elements of its physical velocity. Since Modern Physics does not know what mass is, and it does not know which mechanisms move the mass, it assigns the capacity of producing a displacement of mass to kinetic energy. As a result, kinetic energy ends up being an abstract essence of velocity concept. Before going on describing additional elements in the definition of mass velocity, we would like to recall briefly the example of cotton used in the page on Kinetic Energy in the book Law of Global Gravitation. The cotton would be the Global Aether, the thread would be its filaments, and the mass is a ball of cotton. Electromagnetic energy would be small twists in the cotton that make the ball bigger and deformed according to the direction of absorption of those small pieces of cotton. Just as the example with cotton, the reticular mechanism of kinetic energy is consistent with the formula for kinetic energy, the formula for velocity, and the equation for acceleration of bodies with mass. Also, it is perfectly compatible with the increase in mass with velocity and formula of Law of Global Gravitation, which incorporates previously mentioned Merlin effect. What is noticeable is that concept of kinetic energy detaches from the concept of electromagnetic energy, once it integrates with mass. Energy easily transforms into another and vice versa, but there are different processes in different phases of Global Aether. The reticular structure of matter or Global Aether is the material support for gravitational energy, kinetic energy, and mass; nonetheless, in this case, we are not considering radial symmetry or, better said spherical symmetry provoked by gravity field. The kinetic aether is in constant longitudinal vibration with the same speed of propagation as the speed of light. Both speeds depend on elastic properties of the kinetic aether, and we assume they could change, according to Maxwell’s equations, as far its density and longitudinal tension change. In Global Mechanics book, there are more details regarding this aspect. As we have commented, it forms by loops of the three-dimensional net of the filaments of kinetic aether. Therefore, it is also in constant vibration or resonance and synchronized with Global Aether. In the recurring example of the cotton, the mass would be the ball of cotton, like a slipknot, and, without a doubt, we could talk about a Knot Theory, although it is not exactly the same as the theory of Lord Kelvin. The absorption of electromagnetic energy by mass implies incorporating part of the filaments of kinetic aether to the loops of mass. This incorporation will produce a slight deformation of the total mass because of elasticity of loops of the filaments and their internal balance. That is, the material existence of kinetic energy would be the increase in total mass –the equivalent kinetic mass– that provokes a change in total mass spatial configuration. The spatial configuration of deformation of total mass is the mechanism for velocity. Only a symmetrical configuration in all directions produces a null movement in regards to natural or privileged system reference or kinetic aether. This mechanism is due to continuous vibration and synchronization of mass with Global Aether and play of elastic forces, which occur by the curvature of Global Aether filaments due to the existence of mass. If resultant force is not null, the slide of mass will begin. More details about this mechanism are in section Physics of movement with gravity.